Truly a lovely hand made pillow from the 1930’s or 1940’s made of many yo yo’s. 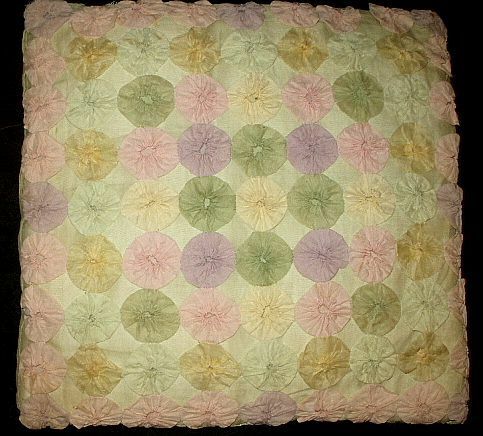 The organdy fabric is of a soft shade of pink, green, pale blue and lavender. Certainly gives a touch of a cottage look with a dash of spring. Backing of pillow is also of organdy.